The 31-Series pH Electrode is a general purpose, lab or field electrode offering affordable, low maintenance performance for many water applications. Features: Polycarbonate body with standard 12mm diameter and 120mm length. Bulb guard can be removed for easy cleaning. 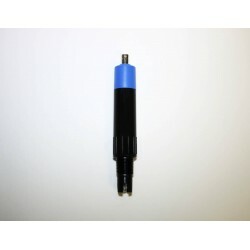 Sealed, gel-filled reference available as single or double junction Ceramic pin/pellon junction for great performance Suitable for all general purpose applications .. The 35-Series pH Electrode is a general purpose, lab or field electrode offering affordable, low maintenance performance for many water applications. 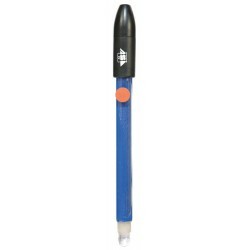 Features: Epoxy body with standard 12mm diameter and 120mm length. Many body housing color options available. 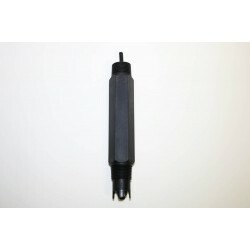 Sealed, gel-filled reference available as single or double junction Ceramic pin/pellon junction for great performance Suitable for all general purpose applications .. The 58-Series pH Electrode is a premium, lab or field electrode offering excellent performance for many water applications. With it's refillable, sleeve type reference, the user can control when and how the reference is flushed or refreshed. 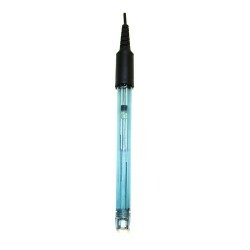 Features: Epoxy body with standard 12mm diameter and 120mm length. Removable guard for sensor protection. Refillable and flushable reference only available as double junction Sleeve-type junction for better .. The 59-Series pH Electrode is a premium, laboratory electrode offering excellent performance for many water applications. With it's refillable, sleeve type reference, the user can control when and how the reference is flushed or refreshed. 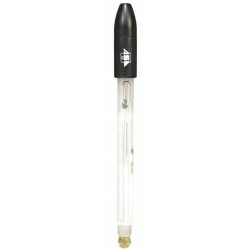 Features: Glass body with standard 12mm diameter and 120mm length. Removable guard for sensor protection. Refillable and flushable reference only available as double junction Sleeve-type junction for better c.. 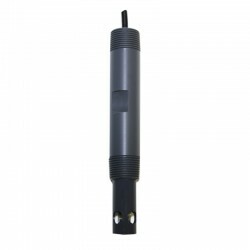 The 28-Series Flat pH Electrode is a general purpose, lab or field electrode offering affordable, low maintenance performance for water applications where a flat shaped pH sensor is more suitable. 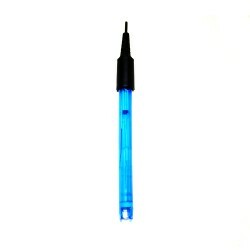 Features: Plastic body with standard 12mm diameter and 120mm length. Flat pH sensor for surface measurements or applications where easy cleaning is desired Sealed, gel-filled reference available as single or double junction Ceramic pin/pellon junction.. 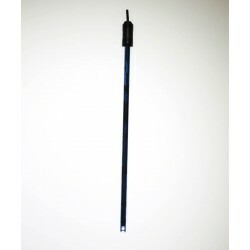 The 7C-Series Semi-Micro Electrode is a general purpose, lab or field electrode offering affordable, low maintenance performance for applications needing a small diameter body housing (6mm) and is also longer than standard (150mm) Features: Plastic body with 6mm diameter and 150mm length Sealed, gel-filled reference available only as single junction Pellon junction for good performance Suitable for all general purpose applications .. The 11-Series pH Electrode is a general purpose, laboratory electrode offering affordable, low maintenance performance for many water applications. Features: Glass body with standard 12mm diameter and 120mm length Sealed, gel-filled reference available as single or double junction Annular ceramic junction for great performance Suitable for all general purpose applications .. The 14-Series pH Electrode is a general purpose, laboratory electrode offering affordable, long-lasting performance for many water applications. Features: Glass body with standard 12mm diameter and 120mm length Refillable reference available as single or double junction Annular ceramic junction for great performance Suitable for all general purpose and advanced applications .. The DA-Series pH Electrode is a general purpose, lab or field electrode offering affordable, long-lasting performance, for many water applications. Features: Epoxy body with standard 12mm diameter and 120mm length Refillable reference available as single or double junction Ceramic pin/pellon junction for great performance Suitable for all general purpose and advanced applications .. The 54-Series is a light industrial, or general purpose in-line (continuous measurement) electrode offering affordable, low maintenance performance for many water applications such as swimming pools, drinking water, industrial water, aquaculture or related applications. Features: Front-facing 1/2" NPT threads allow for in-pipe installations and a compact 26.4mm diameter and 147mm base housing length makes it an easy fit. Available for: pH, ORP, .. The 77-Series is a popular general purpose in-line (continuous measurement) electrode offering affordable, low maintenance performance for many water applications such as drinking water, industrial water, aquaculture, tank installations or related applications. Features: 3/4" NPT threads on both front & back allow for in-pipe or submersible installations. 26.6mm outer diameter, customizable length. Available for: pH, ORP, Conductivity, Dissol.. The 61-Series, or "GB Series" is a popular heavy-duty in-line (continuous measurement) electrode offering convenience and performance for many industrial water applications. 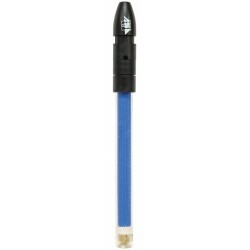 Features: 3/4" NPT (optional 1" NPT also) threads on both front & back allow for in-pipe or submersible installations. Hex-shaped outer diameter for easy tool use. Available for: pH, ORP, Conductivity, Dissolved Oxygen, Temperature Body housing options: Ryton® - PPS (polyphe.. The 66-Series is a popular heavy-duty in-line (continuous measurement) electrode offering convenience and performance for many industrial water applications. Features: 3/4" NPT (optional 1" NPT also) threads on both front & back allow for in-pipe or submersible installations. Hex-shaped outer diameter for easy tool use. Available for: pH, ORP, Conductivity, Dissolved Oxygen, Temperature Body housing options: Kynar® - PVDF (polyvinylidene fluorid.. The PT-Series Twistlock design can be inserted and removed with a simple 1/4-turn. Combined with an adapter, it can be installed easily in many process applications and seals securely. It is a good choice where quick installation or removal is important. Features: Stainless Steel locking pins work with our Twistlock adapters in 3/4" and 1" NPT threads (not included). 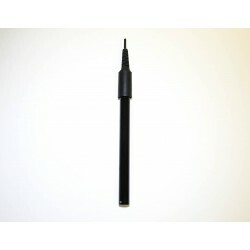 3/4" NPT back threads are also available on the electrode for submersible insta.. The PT-Series Twistlock Adapters enable the simple 1/4-turn installation/removal of PT Series Electrodes Features: Required accessory for PT Series Twistlock Electrodes. 3/4" NPT, 1" NPT, and ANSI Flange insertion types available Material options: Kynar® - PVDF (polyvinylidene fluoride), Stainless Steel (316SS), CPVC, Teflon, and PVC ..